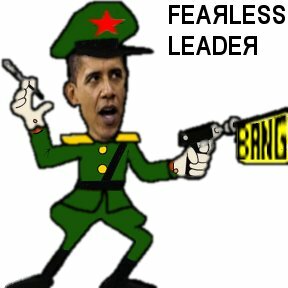 WEBCommentary(tm) - Obama Unveils 2012 Campaign Slogan: STAY on THE COURSE in 2012 for a HOLE IN ONE for America. 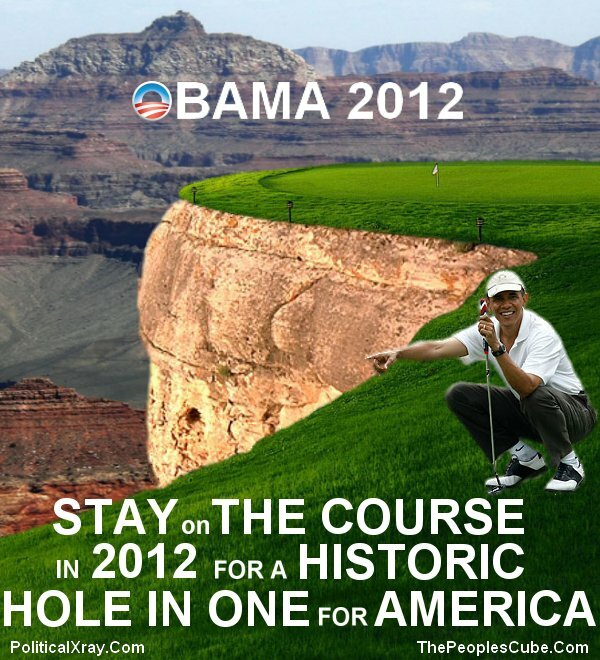 Obama Unveils 2012 Campaign Slogan: STAY on THE COURSE in 2012 for a HOLE IN ONE for America. Or should it be CrOny CapitOlism? His slogan for Two-Thousand-Twelve: Retain me in Two-Thousand-Twelve to stay on the course. The reason, of course: At hole-in-one shots he excels. (But you have to read the rest to understand "hole-in-one." We're just floating downward, not sinking. to stay on the course. At hole-in-one shots I excel. Fear not, 'cause you'll find they're not lost. in putting around in the hole. Such sequel is fair, is it not? 'Cause all can then shoot for the top. in that at which others cannot. the bottom's the same as the top.